Spencer Hill Press, 9781633920330, 260pp. Talented rock guitarist Beth Collins has been barely holding herself together for months, ever since her boyfriend and bandmate became the latest victim in a string of suspicious disappearances. When her brother is injured an accident and she sees something dark billowing around him as he hovers close to death, she’s convinced her sanity is collapsing for good.Then she's accepted by a boarding school for the musically gifted. All of her new friends are bursting withtalent, but they're also keeping secrets. Can she trust Vincent, who's so sweet that his very touch makes her fears melt away? Or Xavier, who's trying to tell her something but is hiding even more?And will anyone be safe when her true Talent comes out? Gr 8 Up—Beth Collins has a talent, and the tingling in her chest is the only premonition she receives that her world is about to be rocked. 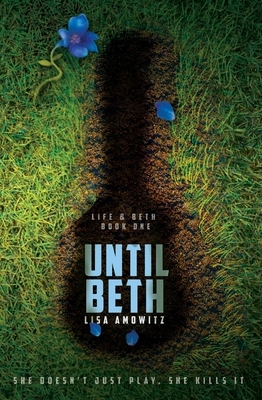 The story begins with Beth still hurting over the disappearance of her boyfriend, dealing with the downward spiral of her brother's accident, and realizing that things might not be as "normal" in her small town as she once thought. It's a roller-coaster ride from there. She finds out that her friend and bandmate, Andre, is as talented as she is, and he helps her enroll at a school for musically "gifted" (emphasis on the "gifted"). Everyone at the school has a gift (besides the musical kind)—but each is potentially harmful to society; Beth finds out quickly that High Step isn't what she thought and not what she wants. As she fights to figure out who is who in the dangerous game of "guess that talent," Beth is torn among Vincent, Xavier, and Sam. Who is telling the truth? Who really cares about her and not her ability? There are many players, and readers are left wondering what happens next, but thankfully it's a "to be continued kind of question," as the author plans a follow-up of Beth's future. VERDICT A solid addition to fantasy collections that has shades of Twilight's love triangle.